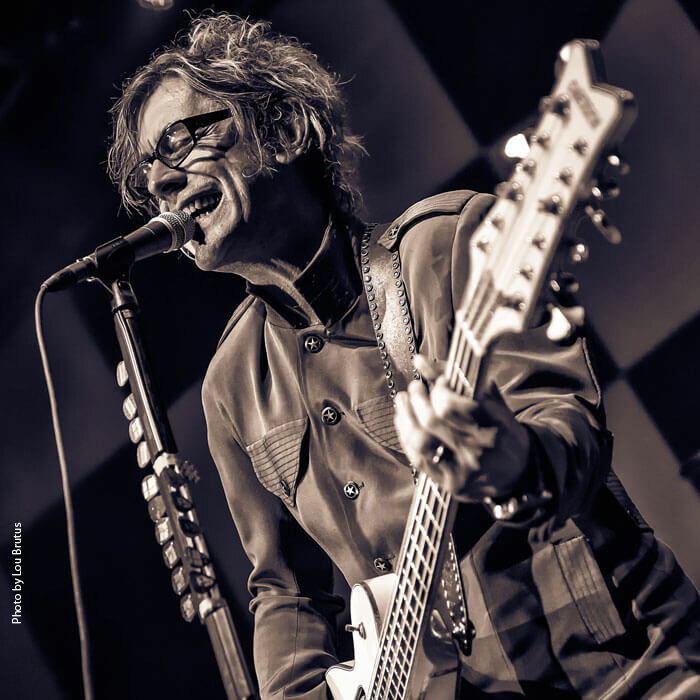 Tom Petersson is the founding bassist of Rock and Roll Hall of Fame band Cheap Trick, and also the pioneer for the creation of the 12-String bass that heavily impacted the band’s dynamic sound. Petersson and his Cheap Trick bandmates have reigned as the high priests of hard-rocking U.S. power pop for more than 40 years, with an influential and infectiously ever-youthful sound. The band has recorded countless hits including “I Want You to Want Me” and “Surrender,” performed over 5,000 shows and released 17 studio albums. Petersson has also collaborated outside of Cheap Trick with artists such as Frank Black, Concrete Blonde, Donovan, Mick Jagger, Willie Nelson and members of the Mavericks. One of Petersson’s latest efforts is Rock Your Speech, a project inspired by his son Liam, who is working hard to overcome a speech disorder associated with autism spectrum disorder. After years of doing intensive speech therapy with Liam, Petersson and his wife had the idea to incorporate speech and language lessons into rock music. Petersson has a vast collection of guitars, including a vintage Gretsch Double Anniversary guitar. A photo of his guitar appears in Andy Babiuk’s book, Rolling Stones Gear: All the Stones' Instruments from Stage to Studio, since it’s the same guitar as used by Brian Jones. "Everywhere I go now with this Gretsch and both these Falcons, people are in shock. That’s really why Gretsch stood out so much because they are like the Cadillac or Rolls Royce of guitars. They are the flashiest, coolest looking. It’s classic designs, it’s not pointy metal guitars. I never liked that kind of stuff. I like the really classy designs. Plus, it’s got comfort padding, gold sparkle binding, Falcon inlays, penguin armrest … we just went for it on the looks! You show up with that and people are like, ‘Oh My GOD! I don’t even care how that thing sounds, that’s the coolest looking instrument I’ve ever seen.’ Then you plug it in and it’s like, ‘Oh my, whoa, what is going on here?’ So, it’s the best of every world."